1. Milani Eye Tech Liquid Eye Liner in "Black"- I started using this in brown back in May but swtiched it out for my Eyeko Graffiti Liners. This is more "inky" than the Eyeko Graffiti liner which allows me to apply this much quicker -even though I'm less likely to mess up with the Eyeko liner. Because I was using the Brown so much, I went out and bought it in black to change it up a bit. 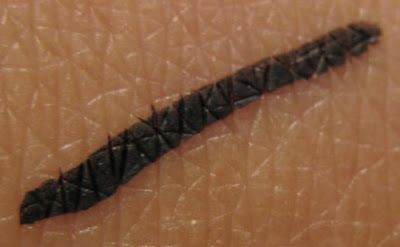 I'd describe the color as a true, medium black (see swatch below.) Click here to buy. 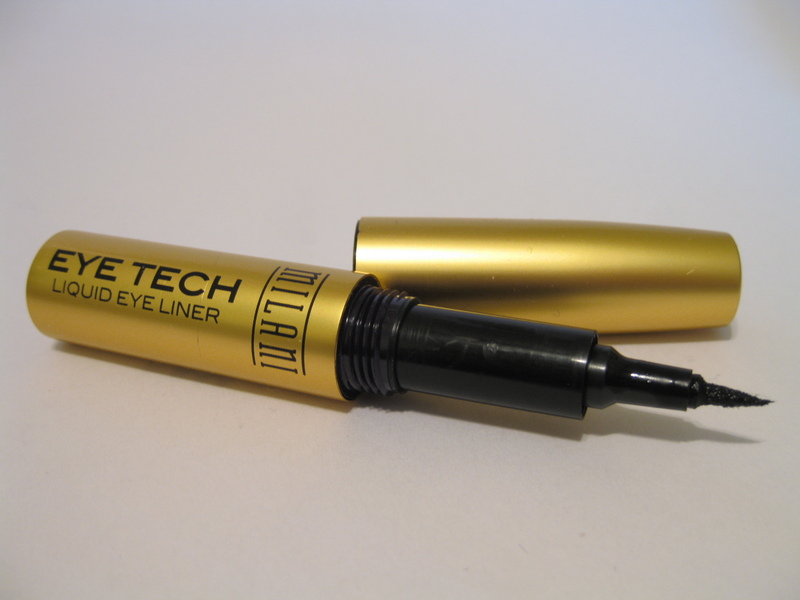 Above (no flash): Milani Eye Tech Liquid Eye Liner in "Black"
2. Shiseido Nourishing Mascara Base- I've been using the Shiseido Makeup Mascara Base for quite some time now but for whatever reason, they discontinued the super popular (and amazing) lash primer with the new and supposedly improved Nourishing Mascara Base. 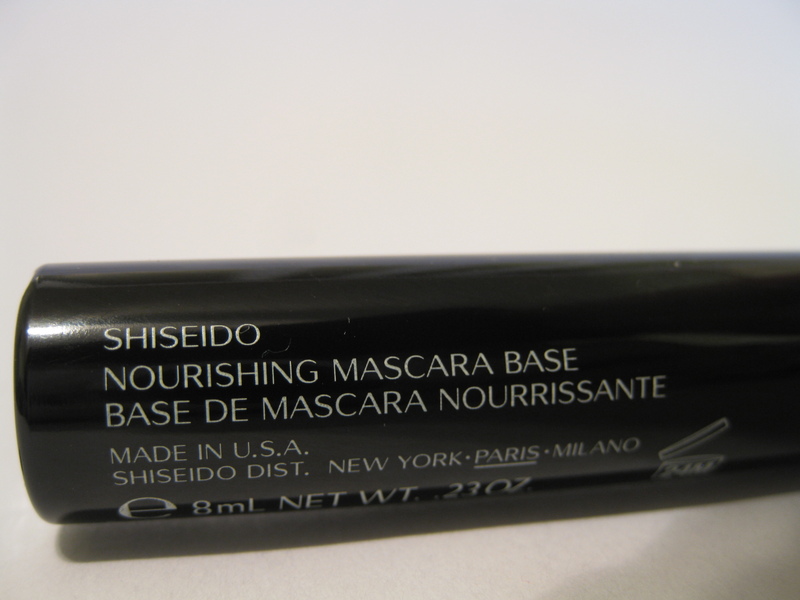 To be honest, this isn't as good as my beloved Makeup Mascara Base -but it does the job. I went on for months just using mascara and when I started using this (with my mascara), I noticed a big difference. My lashes looked thicker, longer, and actually looked like they were there. Click here to buy. 3. 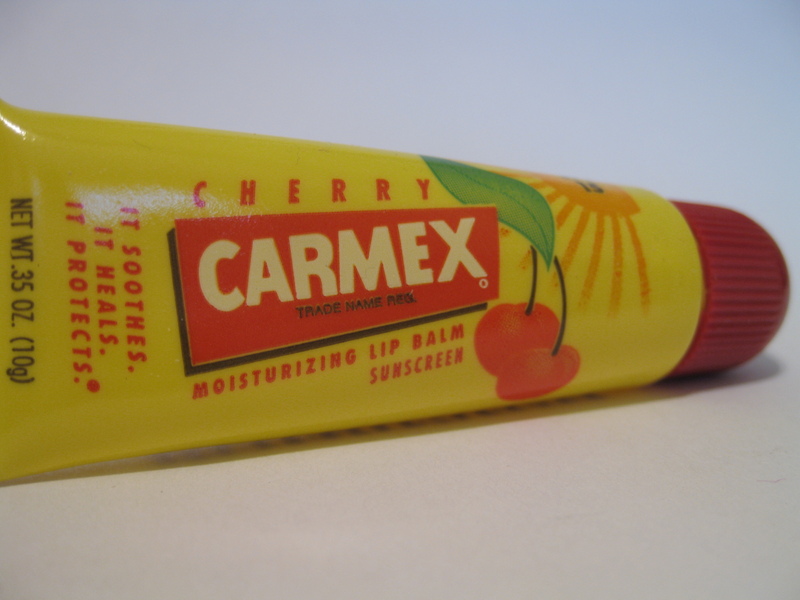 Carmex Lip Balm in Cherry- I hate Carmex in the pot -it just doesn't work for me. But I decided to give it another try after remembering that Val (Val, where you been??!) and some others had recommended this to me months ago. And let me tell you, it works! I don't know if there's a difference in formula (between the tube and pot) but this actually helps to heal my chapped lips. It cure extremely chapped, bleeding lips but it does cure very chapped, dry lips. I've been using this nonstop for over 2 weeks (especially before bed) and my lips are so soft! Also, the SPF 15 doesn't hurt. (Also, I SO meant to buy Strawberry but didn't even realize I bought Cherry until I got home -I'm not loving the taste/smell.) Click here to buy. 4. 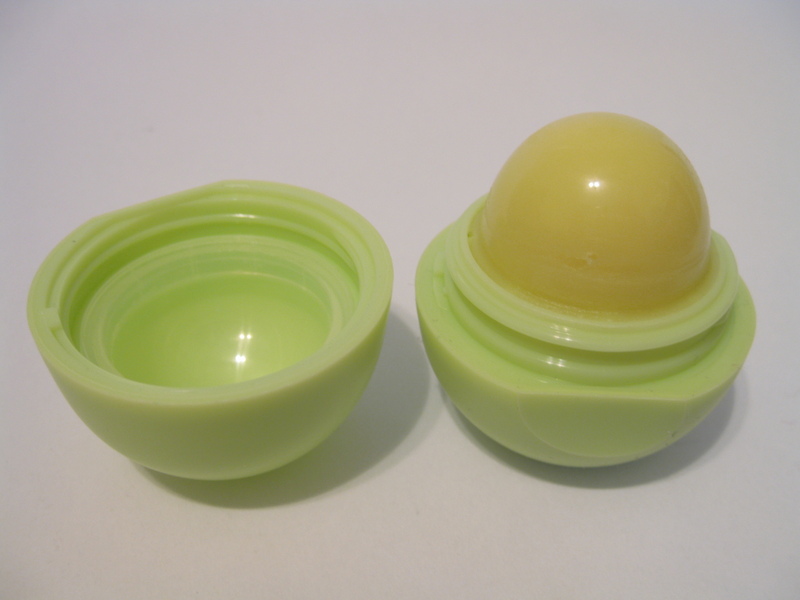 EOS Lip Balm in Honeysuckle Honeydew- I finally caved in and bought this after my friend raved about how well it worked as a lipstick base. I've seen plenty of reviews on this (especially on YouTube) so I was weary of buying it since so many people were "sent" this product to review. I don't know about you but I AM weary of people reviewing items that they're sent for free -they didn't have to shell out the money to try them! I don't find anything wrong with reviewing items that have been sent for consideration but sometimes, you just don't know who to trust. However, I am glad that I bought this (now I know they were telling the truth!) I don't recommend this for treating very chapped lips but it's good for lips that are in good or average condition. This DOES NOT heal my chapped lips -it's only good when my lips are already smooth. However, I do think it's a great lipstick base (like my friend said.) When I apply this before lipstick, my lipstick goes on so much smoother and lasts longer. Click here to buy. 5. 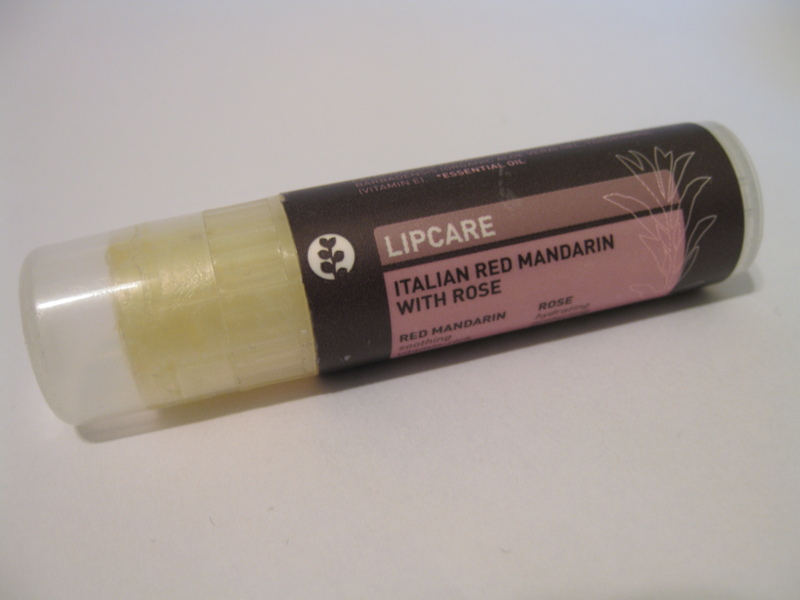 Pangea Organics Lip Balm in Italian Red Mandarin with Rose- I already reviewed this when I bought Pyrenees Lavender with Cardamom but during November, I started using this flavor. It smells just like Mandarin oranges -it's heavenly. As for the quality, it's still there -Pangea Organics' lip balms are among my favorites and they do a great job keeping my lips from getting chapped and nasty. Click here to buy. 6. 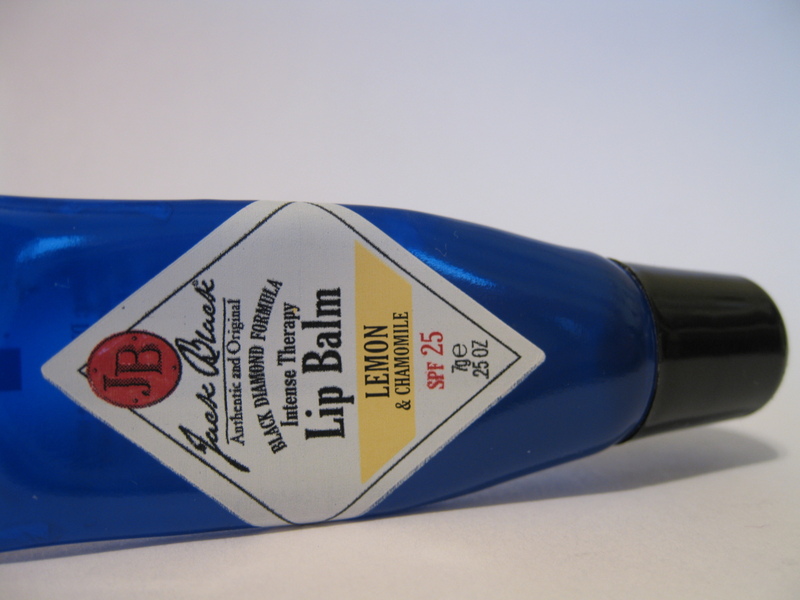 Jack Black Intense Therapy Lip Balm in Lemon & Chamomile- I've been using this on and off for my lips (as usual) but this isn't why it made it to my "November favorites." While I was on vacation, my feet got so incredibly dry to the point of cracking (I know, TMI and really gross!) When this happens, I usually apply a heavy layer of my L'Occitane foot cream or Vaseline and then put on some heavy socks but I didn't have those with me. SO, I had to improvise and I decided to use this instead! When I woke up (after the 1st night of applying this without socks), the bigger "cracks" had healed and no longer hurt. I don't know what magical ingredients are lurking in this stuff but now I know it works great for my lips and feet. Click here to buy. That's it for my November Favorites -I hope it wasn't too boring (not much other than lip balm!) What were your November favorites? And your not-so-favorites? Woo EOS is a ton of fun. I'm on a mission to collect them all :) My Nov favorite is Chanel Tweed Fuchsia blush. Not so favorite is Diorshow mascara - it flakes so badly. I don't know if this ever happens to you, but I've been looking and looking and looking for reviews on lip balm. Last week, I gave in and picked up some Burt's Bees. And now you give me so many awesome products! 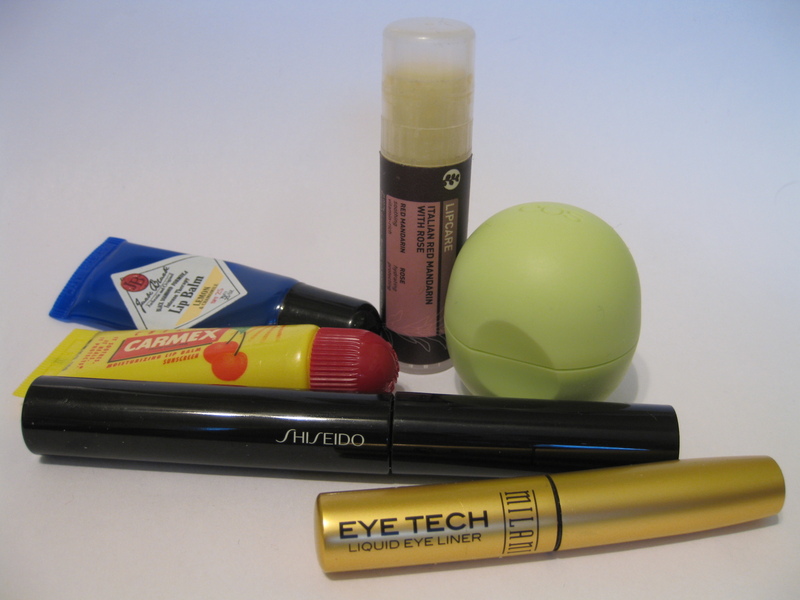 i love carmex and EOS !! i have never tried any of the other products on your list, but might have to.. i think i've seen some milani products around here.. thanks! Yay for lipbalms!! :D I am loving lip balms right now, I have never been into it until now. :D Awesome reviews, and I wish Milani was here! The Carmex lipbalm looks yummy, I should definitely try it! It's strange that the pot version doesn't work for you but the tube does LOL. And I really dislike Diorshow. To me, it's so not worth the money!! @ siwing.. I'm glad you like them too! =P If you try any of the other products, I hope you like them. @ a!k0.. Thank you. =) And I hope Milani comes to you soon!! @ Charlene.. Aww.. not Carmex?? Do you have any of the other brands there? I hope you find a good lip balm! For the winter months Lipcare is essential for me since they always seem so sensitive to the cold :( i practically live off SKII Lip Repair! alright girlie, i need to try that Milani. Ive been using Loreal forever!! i need to do November Fav post too =) By the way, where can i get eyeko stuff? @ CutieCocoChanel.. I hate having to stock up on expensive products. =( It's so depressing how much goes to beauty products sometimes. BUT I guess it's worth it!! Plus, every year (maybe once or twice) I stock up on a bunch of Jack Black Lip Balm -enough for the entire year. That way, I don't have to keep buying it over and over again which makes me feel like I'm not spending (if that makes sense!) =P So I guess, it can be better to buy it all at once then buying it over and over again. @ Tiffany.. Go get some!! Sephora has a set of 2 for only $10! Also agree -EOS is so cute! H&M Haul: Best $1 Goodies Ever! !